Looking for an easy solution to the chaos of small business management? Be one of the first to start growing your business with the Workflow Timeline! 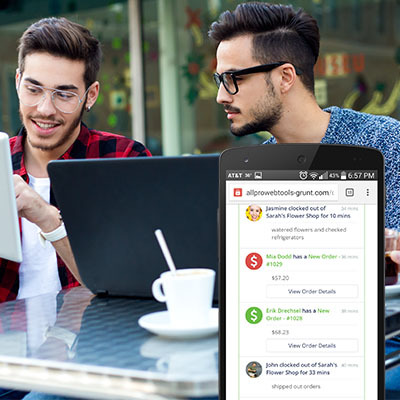 Entrepreneurs are becoming more productive, more effective, and increasing their profits with this new software from AllProWebTools! The Workflow Timeline is a live feed of the essential updates you need to run your business, accessible from any computer or mobile device. It’s a powerful tool for a small business owner, giving real time information about the most important aspects of your business. Learn more here! Did I get paid today? Scroll through the timeline to see up-to-the-minute new orders. You also get quick access to more detailed invoice information, shipping status, payment status, and more. 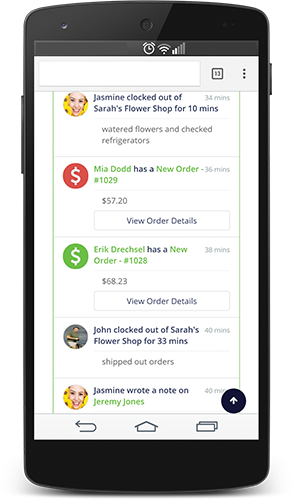 A complete list of orders, which you can sort by date, client, or dollar total, is just a click away. Are visitors to my site making purchases? Abandoned Carts notifications automatically alert you if a customer fills out a cart but doesn’t complete the order. This allows you to quickly follow up with a phone call or an emailed coupon. You’d be amazed at how many leads you can convert this way, just by making that extra effort. Take a proactive approach with your customers, armed with information from your Workflow Timeline. What are my employees working on? Having the answers to these questions at your fingertips empowers you to make decisions in the moment, and to plan for future growth. Click here to learn more about how the Workflow Timeline can help you be a more productive small business owner! Keep up with Workflow Timeline!